Having a cool picture isn’t enough when posting on Facebook and Instagram. The caption on the picture makes or breaks the post. 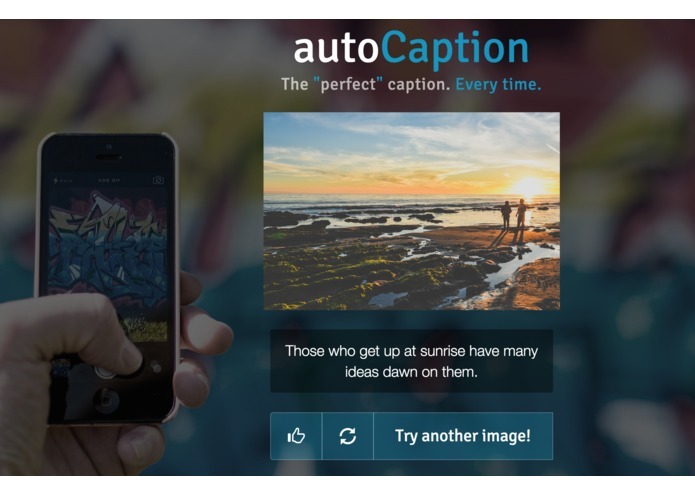 If you have ever struggled coming up with a witty joke, perfect quote, or funny song lyric for your picture, autoCaption.co was made with love for you. 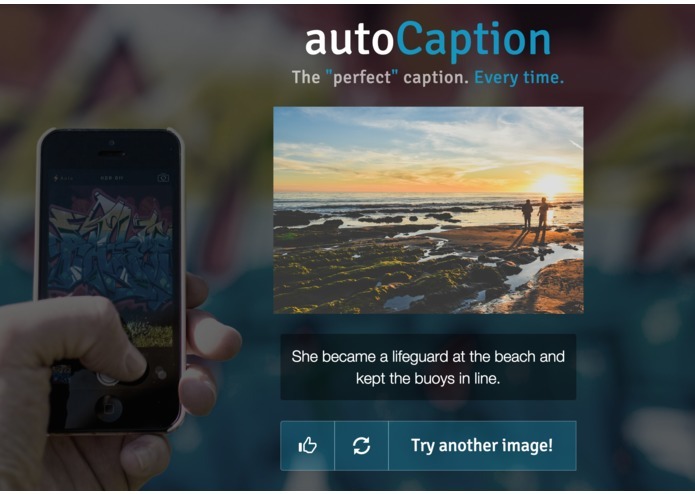 We use IBM BlueMix Watson Image Recognition API as well as Imagga API to detect objects in uploaded pictures to our platform. Based on these tags, we use AWS Cloud Search to implement fuzzy search through our custom database of hip hop lyrics, funny quotes, and one liners scraped from the funniest places on the internet. 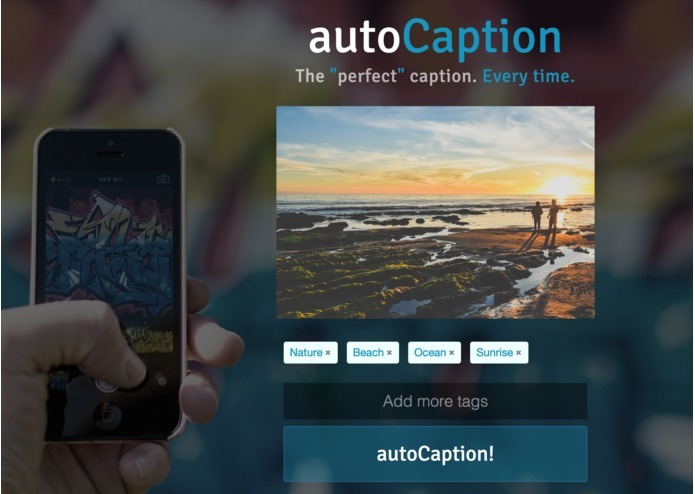 Our core value is providing results a search on Google can’t: by using innovative tagging and synonym finding on our corpus of captions, we surface results Google can’t. 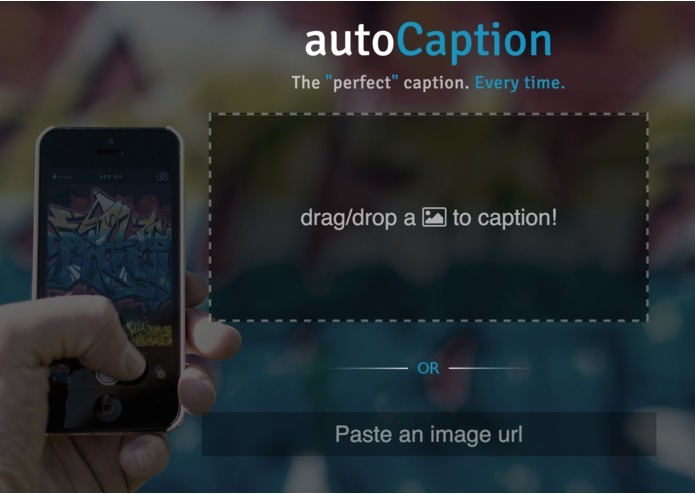 With autoCaption.co, you get the perfect caption. Every time. I worked primarily on the Django backend. I integrated the image recognition functionality by weighing both Imagga and IBM Bluemix API results. I integrated with AWS Cloud Search and developed the file storage system. I also did some work on the site's CSS. I worked on both the back-end and front-end design of the project, focusing on the interface, user experience and basic functionality (i.e. 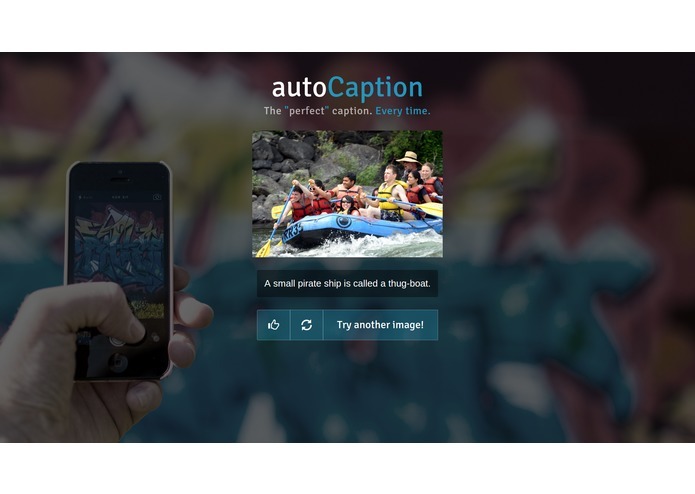 File Upload, Theme, Retrieving and Visualizing Captions, etc.). I came up with the original idea for the hack and did the high level design of features which we would need to implement as a group. I scraped all the quotes, puns, etc. with Python. 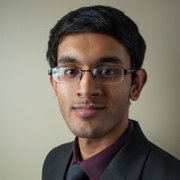 I set up and tuned the search process using AWS Cloud Search. 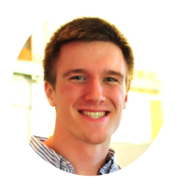 I also marketed the app after the hackathon to get traction.